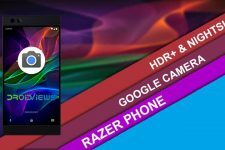 The MIUI 10 stock camera app can now be installed on AOSP ROMs running on the Poco F1 to take the best photos possible from the Poco F1 even on custom ROMs. 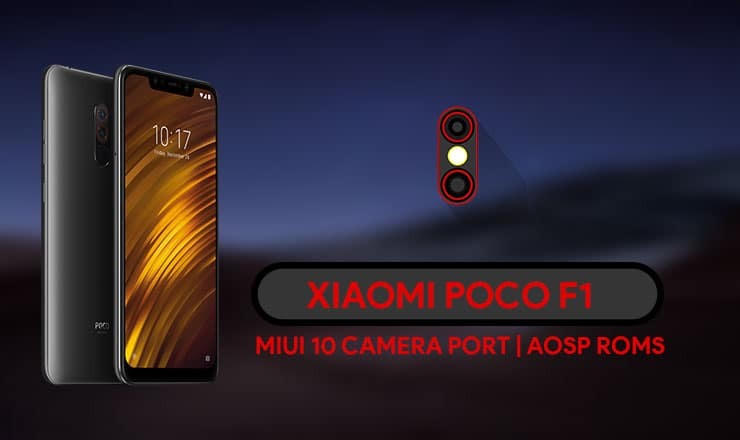 Read on to install the MIUI 10 Camera port on Xiaomi Poco F1 running AOSP based ROM. The Poco F1 from Xiaomi has proven to be the best value for money smartphone taking the crown from OnePlus. With regular MIUI updates, the Poco F1 is now also amongst the few smartphones that can record super slo-mo videos up to 960fps. Although Xiaomi’s implementation is more software and not as great as the slow motion on the Xperia or Galaxy flagships, we have to remember it’s a phone that costs a third of the price. Xiaomi is providing updates pretty regularly, and Poco F1 is a great steal. But the heavily iOS-ized MIUI skin it runs on top of Android is not for everybody. Many users thus, prefer to install an AOSP based custom ROM which provides a more stock Android-like look and feel. One of the main reasons that would stop such users from going the custom ROM route though was the lack of a good camera app. The built-in stock Android camera is nothing more than garbage. Google Camera for the Poco F1 only works on MIUI 10. Therefore, if you were to install a custom ROM on the Poco F1, you’d be left with a mediocre camera app that takes mediocre photos. Having seen the capabilities of the Poco F1 camera though, it would be hard to settle for the mediocre image quality. Thanks to XDA Member AEonAX though, now you don’t have to. The dev has managed to port the MIUI 10 camera app. It works with any AOSP based custom ROM for the Poco F1. 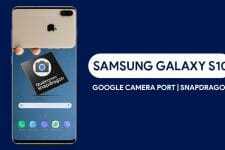 The port can be installed rather easily as a Magisk module. And that means you’ll need to root the custom ROM you’re using. This may cause problems with apps like Google Pay. The port is currently in beta so there are plenty of problems, however, they can be overlooked. First of all, here are the features that do work partially or fully. As for the bugs, the 12-fps video recording doesn’t work while the 240fps video recording does, but it plays at 240fps as well. If you do need slow-motion you’ll have to play the video at a slower speed by a capable media player such as VLC or Mx Player. Night Mode and AI Mode may or may not work, the results have been pretty inconsistent among users. 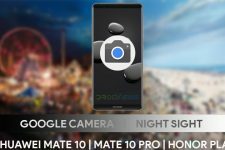 Moreover, 960fps slo-mo video recording only works in landscape if you rotate the device to the right in order to get to landscape mode. With further development and more updates, you can expect many of these bugs to be fixed if not all. Download the Magisk module linked above on your device. Tap on the yellow + button at the bottom and select the downloaded magisk module. Once the module is installed, tap the REBOOT button and let your device reboot. When the device reboots, go to Settings > Apps & notifications and tap on See all apps if you don’t immediately see ANX Camera in the list of apps. Go to ANX Camera > Permissions and turn on the toggle for all the required permissions. By default, the app is allowed Usage access, but while you’re here it’s better to make sure. In Settings > Apps & notifications tap on Advanced to expand the section. Select Special app access and go to Usage access. Here, make sure ANX Camera has been Allowed, and if not, allow it. Although some features don’t work, the most important ones that you will need in your daily lives do. So while the dev fixes the present bugs, you can still continue to enjoy great image quality with the MIUI 10 Camera app on AOSP ROMs.